Dr. Ingrid “Indy” Burke is Director of the Haub School and Ruckelshaus Institute of Environment and Natural Resources. She is a Wyoming Excellence Chair at the University of Wyoming and faculty member in the departments of Botany in the College of Arts and Sciences and Renewable Resources in the College of Agriculture. Prior to her current role, Burke was a professor in the Department of Forest, Rangeland and Watershed Stewardship at Colorado State University (CSU). In a career of more than 25 years, with a focus on the Rocky Mountain West, Burke has served as a member of several National Research Council (NRC) committees and currently serves on the Science Advisory Board for the Environmental Protection Agency. She is an associate editor of Ecological Applications and has been on the editorial board of Ecosystems and Forest Ecology and Management. She is also a member of the American Association for the Advancement of Science, the American Institute of Biological Sciences and the Ecological Society of America. Burke has been designated as a National Science Foundation Presidential Faculty Fellow, a National Academy of Sciences Education Fellow in the Life Sciences, and was recently elected a Fellow of the American Association for the Advancement of Sciences. She received her Ph.D. in botany at University of Wyoming, and her B.S. at Middlebury College. Jessica Clement is Research Scientist in Human Dimensions in Natural Resources at the University of Wyoming. She adds expertise in the field of human dimensions in natural resources to the University of Wyoming Ruckelshaus Institute’s suite of natural resource and environmental science and policy capacity. Dr. Clement works with Dr. Steve Smutko to create a program that will enhance collaborative capacity in Wyoming through collaborative outreach and natural resource leadership training. 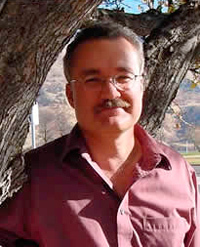 Dr. Clement was previously the Co-Director of the Colorado Forest Restoration Institute at Colorado State University. She specializes in the study and practice of collaborative governance and collaborative learning related to e.g. forests, wildlife, recreation and public lands. She has created and facilitated collaborative processes related to natural resource issues for more than 15 years in Colorado, Wyoming, and Montana. Dr. Clement has conducted social psychological research regarding the relationship between people and natural resources and taught natural resources policy related subjects for twenty years. Keynote address, "Collaborative Conservation: A Barn Raising for the Modern West"
Steve Daniels is a program leader for Community Development in University Extension at Utah State University at Logan, Utah. 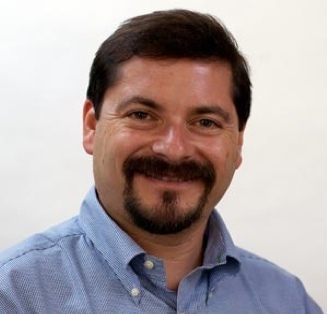 He is also a professor in the Departments of Sociology, Social Work, & Anthropology and Environment & Society at USU. Previously, he was the Director of the Western Rural Development Center at USU (1999-2004), on the faculty at Oregon State University as a professor of forest policy and economics (1989-1999) and on the faculty of USU (1986-1988). Except for some years living in North Carolina while he earned his graduate degrees at Duke University, Daniels has always lived in the northern Rocky Mountains and the Pacific Northwest. Afternoon session, "Collaborative problem solving with BLM/state team in Pinedale, Wyoming"
Mary Margaret Golten co-founded CDR Associates (Collaborative Decision Resources) in 1978 and acted as managing partner of the firm during its years of significant growth. Ms. Golten has made many contributions to the field of alternative dispute resolution. She has extensive experience in organizational conflict management and negotiation and has been a consultant to numerous private and public organizations. She has acted as mediator in disputes internal to both small and large organizations, ranging from interdepartmental conflict to equal employment and sexual harassment issues to labor/management disputes. Ms. Golten graduated from Stanford University with a degree in Psychology and Modern European Literature. She is a member of the Association for Conflict Resolution, where she was a member of the SPIDR (predecessor to ACR) Board of Directors and served as co-chair of the society’s Environmental and Public Policy Sector. She is also a Practitioner Member of the Academy of Family Mediators. Michael Kern directs the William D. Ruckelshaus Center at Washington State University and the University of Washington. He is also faculty at WSU. He has over 20 years experience helping diverse groups reach common ground on public policy issues in Washington and the Pacific Northwest. Prior to joining the Center, he was a Senior Associate at Triangle Associates Inc., providing facilitation, mediation, public involvement, strategic planning, project management and other services. He has also provided these services at non-profit and academic institutions for the North Cascades Initiative, Hatchery Reform Project, Hanford Openness Workshops, and other projects. He has experience and expertise in facilitation, mediation, dispute assessment, conflict resolution, project management, strategic planning, online dispute resolution, public involvement, visioning, marketing, fund raising, organizational development, intergovernmental relations, and cross-cultural communication. Steve Smutko is the University of Wyoming's Spicer Chair in Collaborative Practice and a professor in the Department of Agricultural and Applied Economics and the Ruckelshaus Institute of Environment and Natural Resources. Smutko has worked for nearly 20 years in the discipline of public policy decision-making. He has designed, convened, and facilitated numerous public policy decision processes on natural resources issues in the Rocky Mountain West and Southeastern United States. Dr. Smutko also conducts research in collaborative decision-making and teaches negotiation analysis to University of Wyoming students. Return to the Collaboration in Natural Resources: A Wyoming Forum main page.